Have you been searching for the one toy that will not only capture the interest of your child but will excite them with each use? Finding a toy that will not take second place to the box it came in is sometimes a daunting task. There is nothing quite more frustrating than to give a toy you are hoping will be a big hit only to find it is quickly forgotten collecting dust in the garage. Razor manufactures an awesome electric mini bike that is designed for children probably at least 10 years of age to much older. The Razor Pocket Electric Mini Bike, otherwise known as PR200, is a modern sleek racing design that can reach speeds of 15 MPH and hold a rider of a weight up to 150 pounds or even more. What makes the Razor Pocket Rocket an exciting toy? 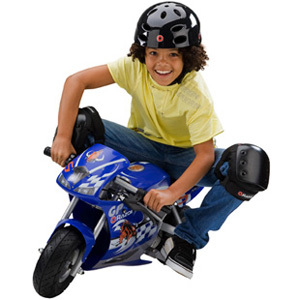 The Pocket Rocket is a scaled down model of a real street bike and can run for forty-five minutes of non-stop fun. Just like the street bike, the Pocket Rocket is equipped with great features like “twist-grip” throttle for controlled acceleration just like the big bikes. It also has modern design features like a padded seat, a chain driven motor with single speed action making it ultra quiet when in operation, and large ten-inch tires with compressed air and aluminum rims like the big bikes making the ride smooth and comfortable. The iPhone has been one of the most functional and versatile cellular devices we’ve seen to hit the mobile community since the beginning of time. It’s possible to do all sorts of things with them including play high definition games, play electronic instruments, have massive control over your agenda, read books, get driving directions, etc. There is something to offer for every type of user. Nonetheless, users that have made dating a significant part of their life could get some major use out of the Apple iPhone. 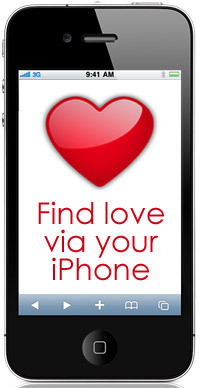 These are just a few of the immensely helpful and accommodating apps that daters with iPhones can’t live without. Nobody wants to be stuck in the middle of a disaster date with no obvious way to escape the awkward tension. Stop worrying that your date could bottom out, and download “Excuse Me.” Once the date turns sour, simply open the app and set a timer for your phone to ring so it seems as if you are receiving a real call. Once you answer the phone, a real life voice will be talking back to you so that your date will really be under the impression that you have taken a real phone call. Simply act as if you have something else to tend to, and leave! This can be used in all sorts of situations, and best of all, it’s free! Going on dates with people that you’ve never met before can be awkward and nerve-racking. At the same time, a little bit of risk is involved as you aren’t familiar with this person and you haven’t a clue about their background. In this case, your next step would be to investigate. This is easily done with an app called Date Check. With Date Check, you can grab critical information about your date before getting too involved. You’ll be glad you did. The 250 km/h, luxury equipped, carbon fiber bus is the product of the University of Delft in the Netherlands. With 800 horsepower on it, all-electric bus is designed to revolutionize public transport. And it works! the video evidence below. With Christmas approaching all of us are looking for the perfect presents to buy but with the economy still in recession maybe some of us can’t afford the expensive products out there, so if you are looking for a cheap good quality MP3 player than we have the right product review for you. There are two major hurdles when it comes to buying an mp3 player for regular consumers. 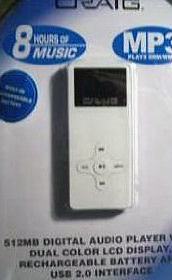 To start with, the mp3 player can be too difficult or complicated for the average consumer to understand. Second, it can be too expensive to fit into tighter budgets. At the same time, a number of them may not offer sufficient features for many people. That’s where Craig Mp3 Player comes into play. Craig Mp3 Player is a low-price music player with high-quality sound and design. The newest addition comes with a number of upgrades and extra features. The Craig CMP168C Mp3 Player fills the void that Apple and Microsoft created in discontinuing the iPod Nano and Zune. This slick player isn’t as feature-packed as the Nano or the Zune, but it’s very inexpensive and offers outstanding sound quality.